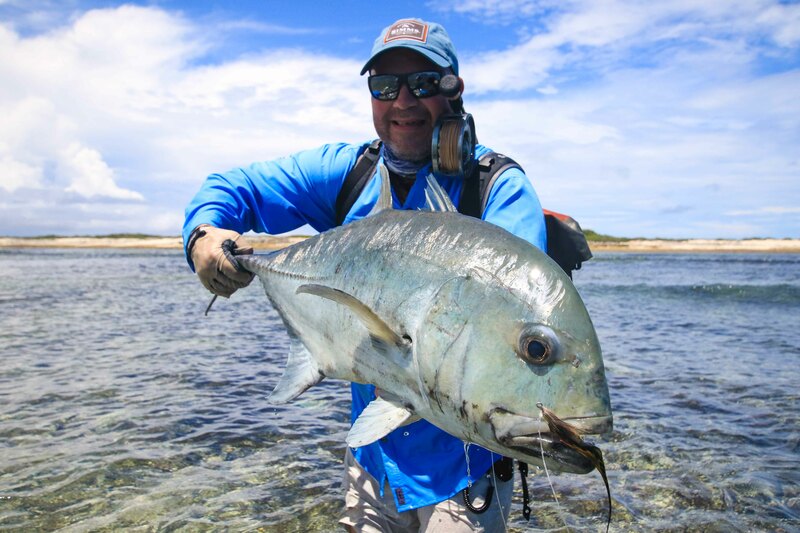 Astove Fishing News 12 – 19 February 2018 – “Slams” Every Day! 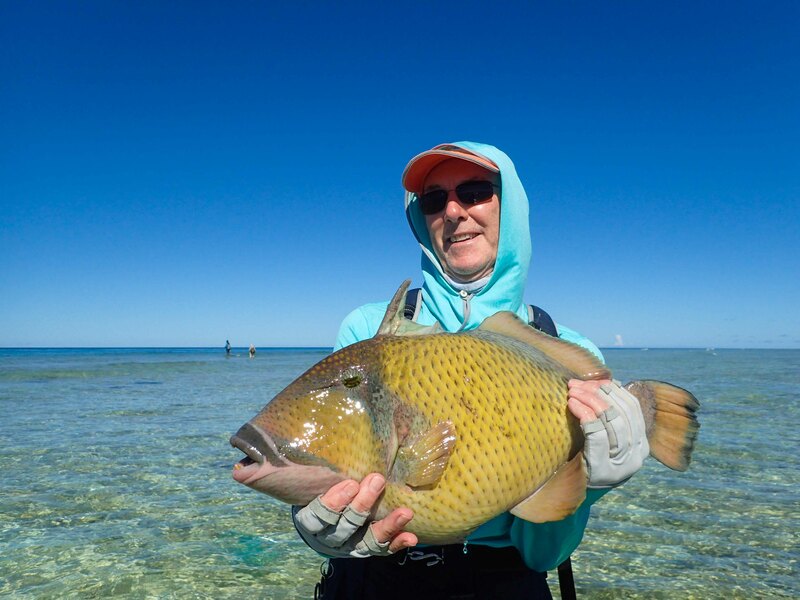 After the Christmas festive season break and some great weather we were all pretty excited to see what the Astove fishery had in store for us. 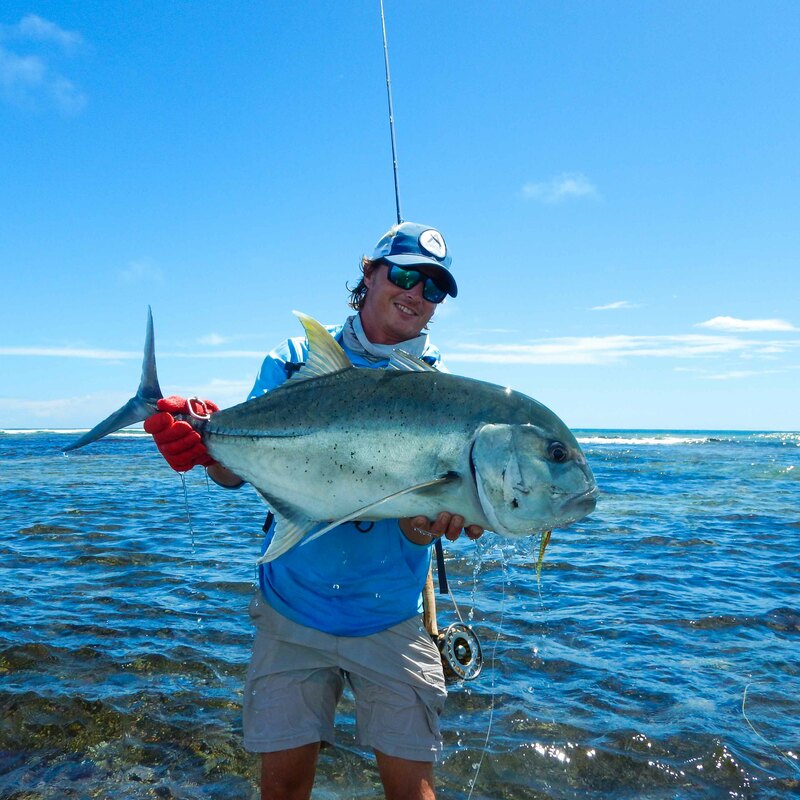 It couldn’t have started any better with Daryl Ewer catching a gorgeous moustache trigger on his first cast of the trip and later followed up with a great yellow-margin. 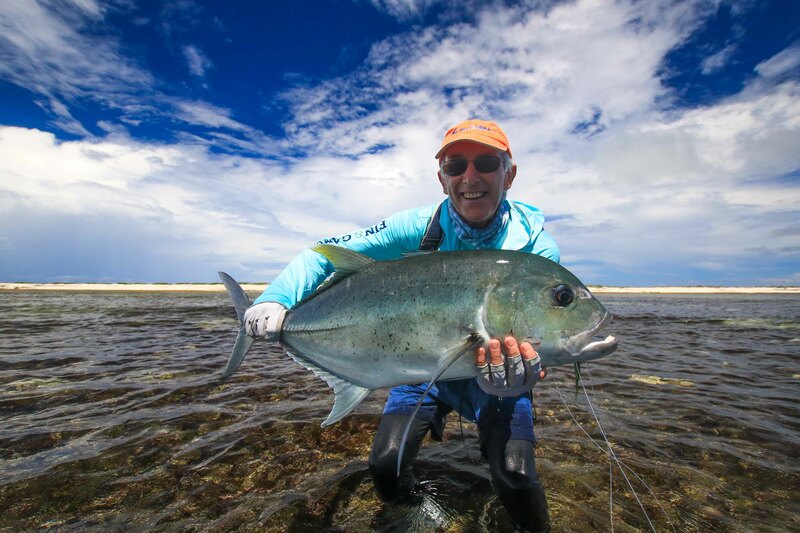 The trend continued and “Slams” soon became a regular occurrence during the evenings bell ringing event with the handing out of badges and rum shots like never before. 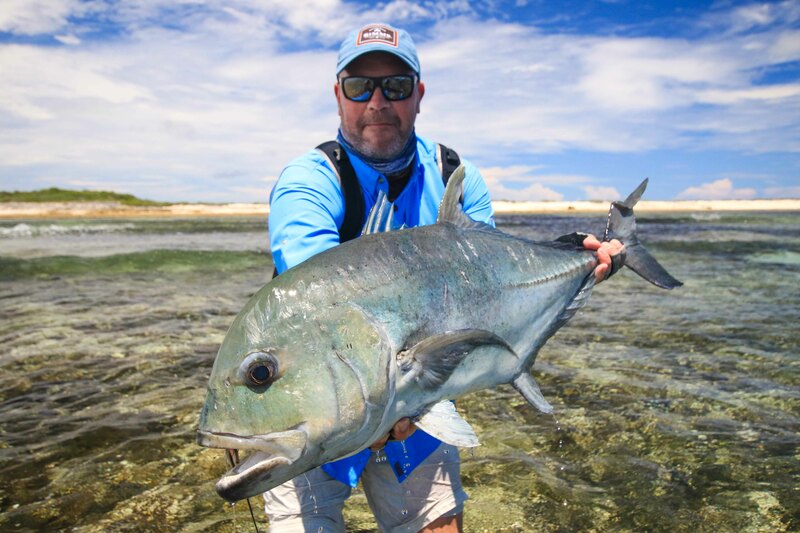 We “Flats Slammed”, or “Grand Slammed” every day this week! 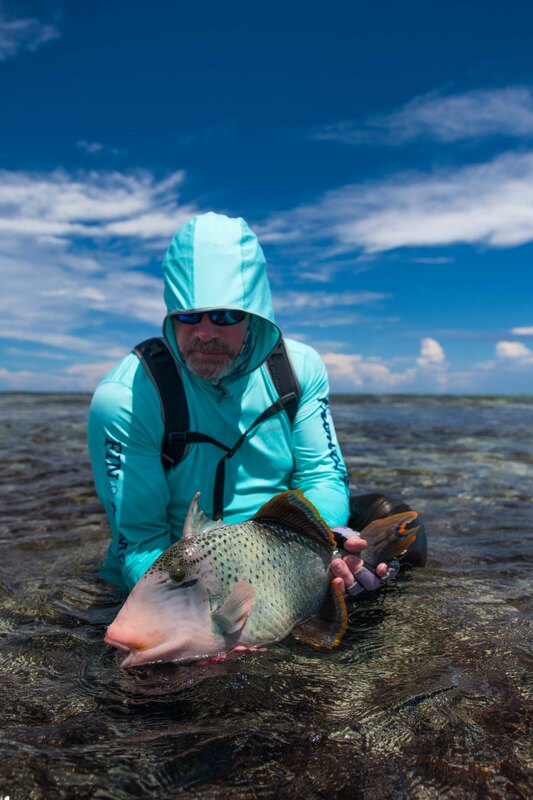 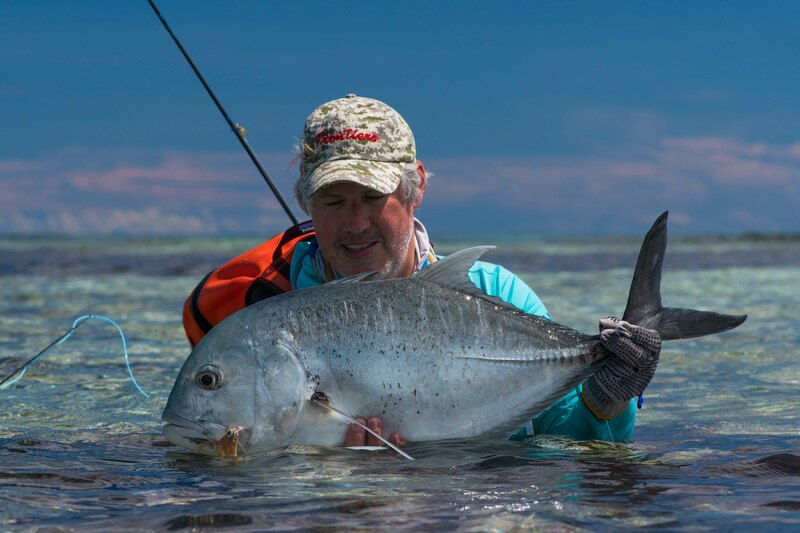 Tarquin Millington-Drake’ leading the pack with a “Double Grand Slam” in a day with two Giant Trevallys, three Indo-Pacific permit and a handful of bonefish. 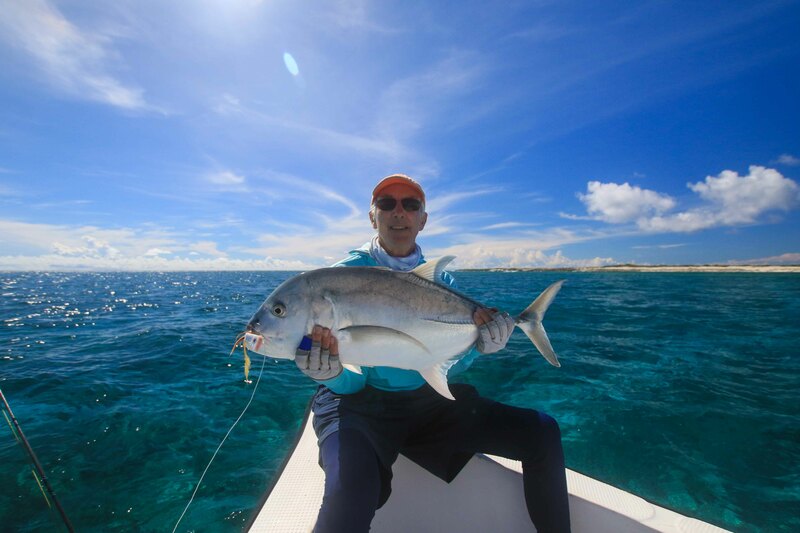 The one thing that should be mentioned is that Tarquin’s three permit where all caught within an hour period. 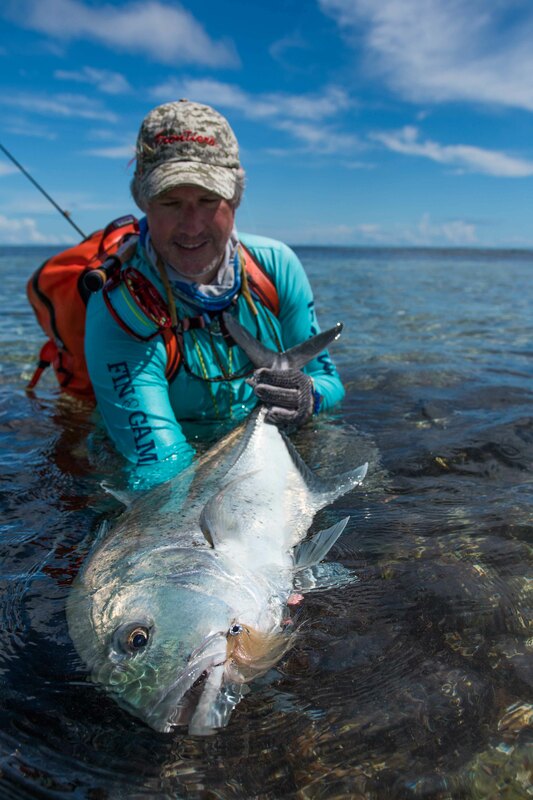 There are very few anglers that can brag about achieving a “Flats Slam” and “Grand Slam” in a single day. 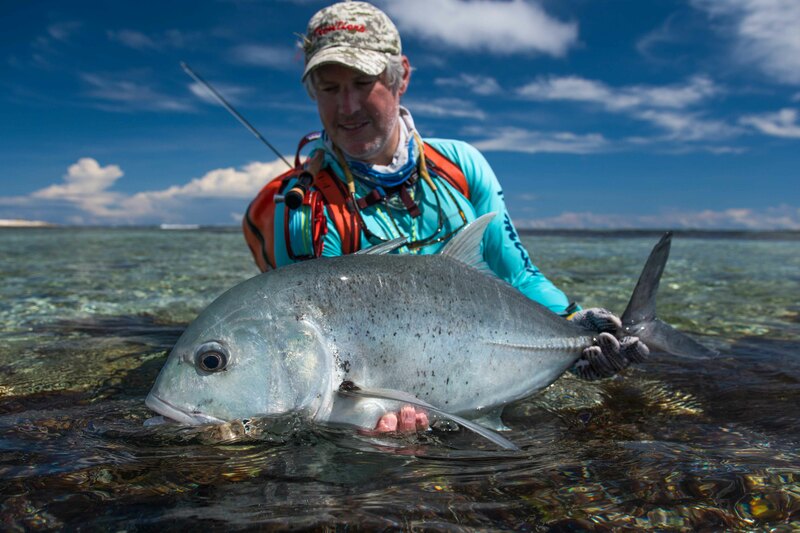 Mika Lehto got this done in absolute style by landing a gorgeous 15lb Indo-Pacific permit, a hand full of bonefish, two GT’s and a trigger. 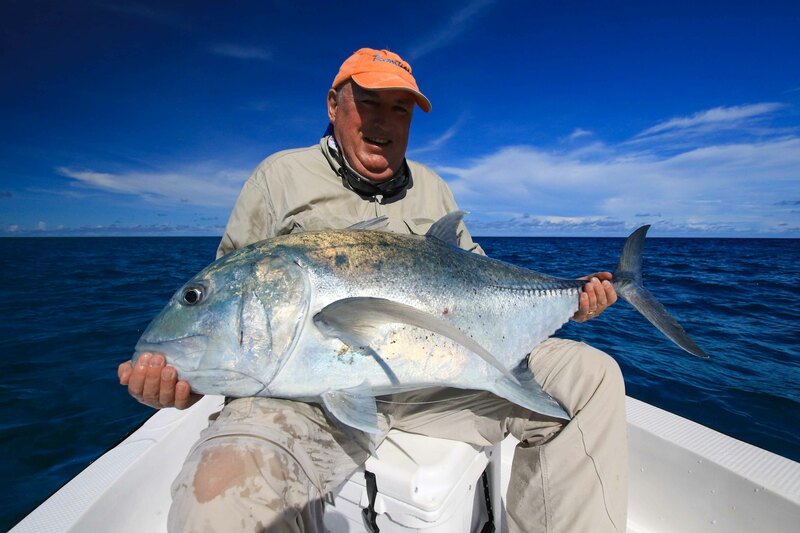 To add to the “Slam” tally Richard Heyhoe, Daryl Ewer and Nick Franks all managed a “Flats Slam” during the week. 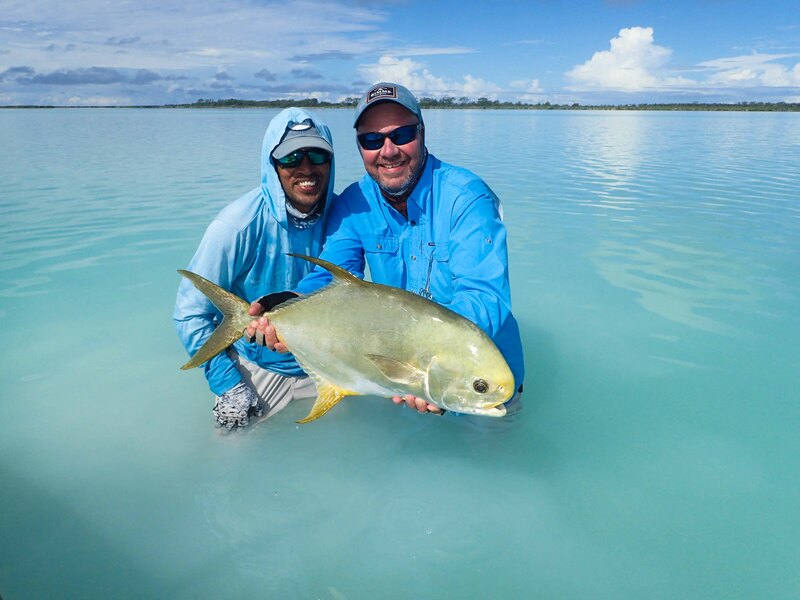 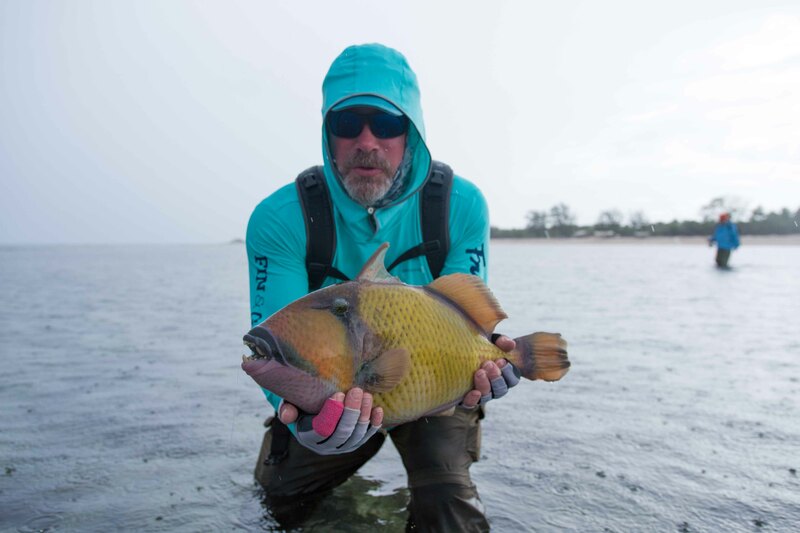 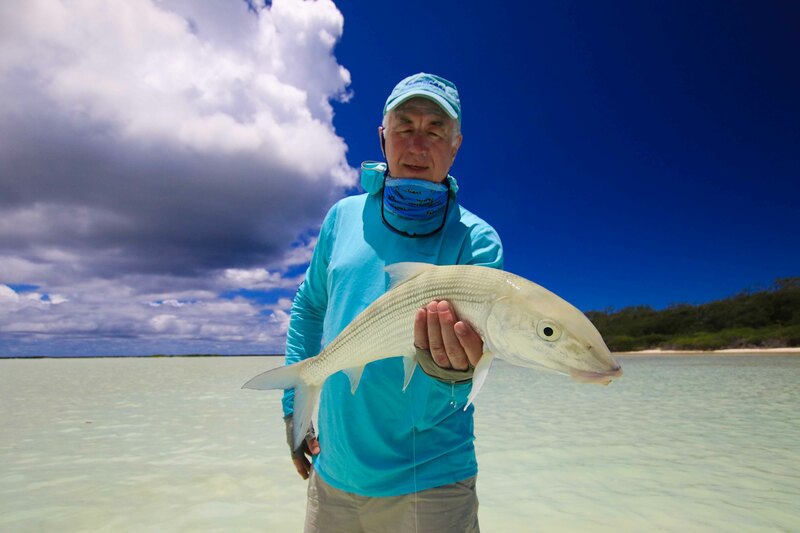 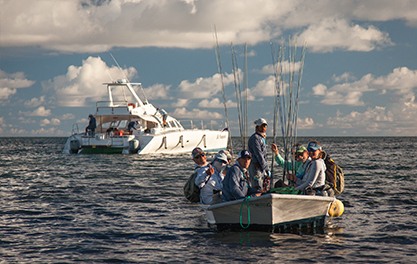 Daryl went on to land three triggers and five GT’s for the six days on the flats. 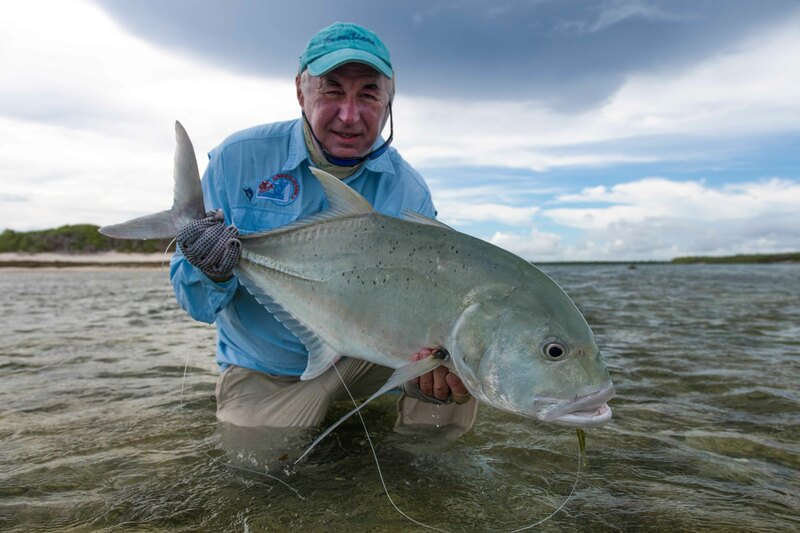 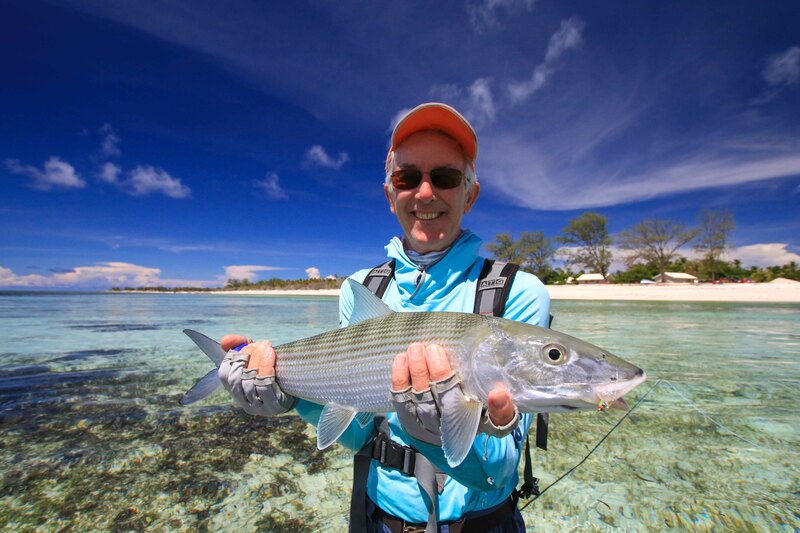 The GT fishing this week started off a little challenging but ended off with a respectable 41 GT’s, the smallest measuring 62cm and largest measuring 105cm, caught by Lawrence Twigger.